One of my favourite things to do leading up to Christmas is baking!! The kids enjoy helping and sharing their spoils too. This year my William is in kindergarten and has asked to take in Christmas treats for all of his little friends, and I was on roster to do craft for the kids at our Bible study break up … so I made a (huge!) 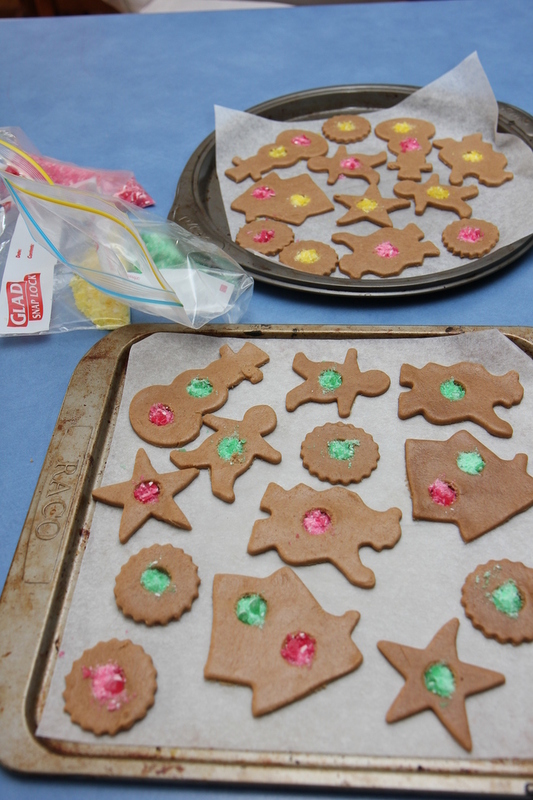 batch of Libby’s yummy gingerbread and we turned them into stained glass biscuits. Fun to make for the kids, yummy to eat and they make lovely presents with a bit of cellophane and bright ribbon! 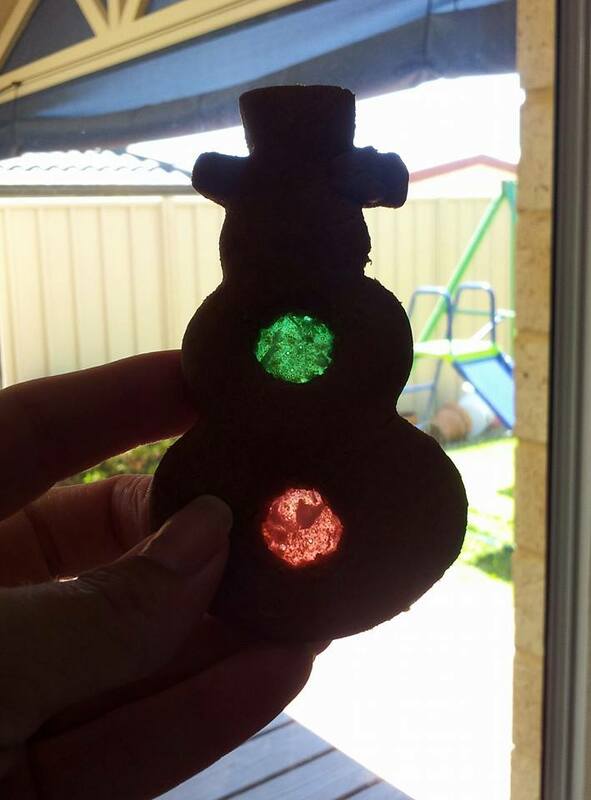 Please note that the gingerbread recipe itself is soy free but there is a small amount of soy in the only boiled lollies I was able to find, so the stained glass part is not soy free. 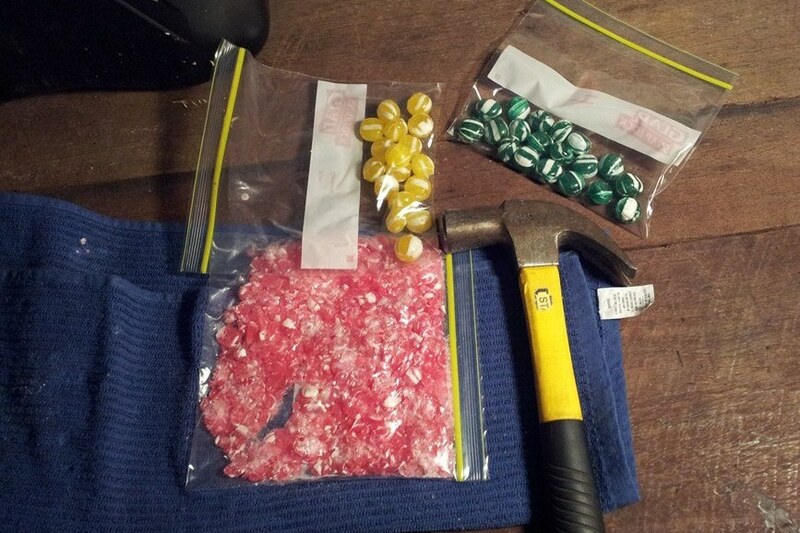 Split the colours of the lollies up into bags then smash them up on a hard surface with a hammer. Best to have a tea towel folded around the bags so stop all spillage if you split the bags! 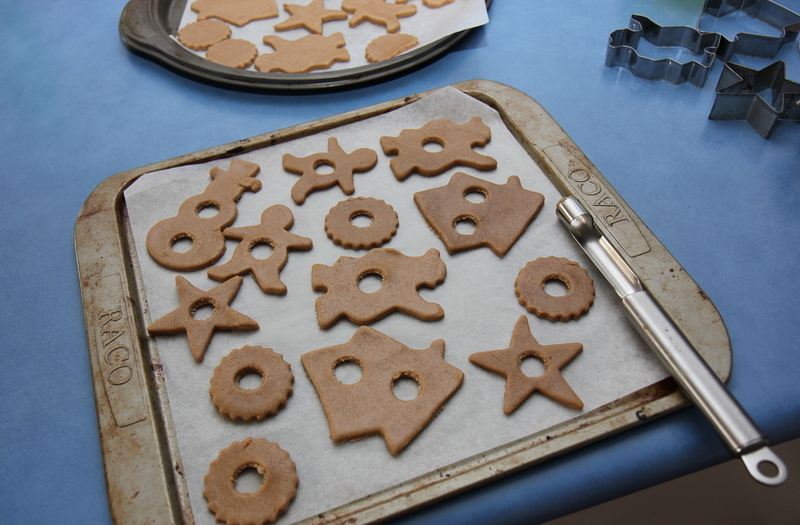 Remove the gingerbread dough from the fridge and cut out the gingerbread shapes. On a lined baking tray (it must be lined with baking paper and not just greased as the boiled lollies will stick like rocks without the baking paper!) place the shapes and then use an apple corer (or similar) to cut out holes. 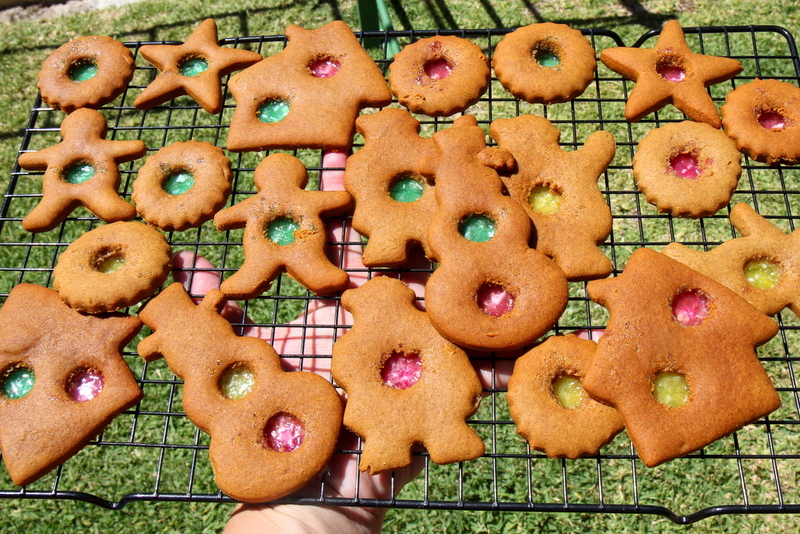 Fill the holes with the crushed lollies – careful not to overfill them as they will turn to liquid and overflow during baking! Bake in a moderate oven for about 10-15 mins or until golden brown. Leave them to cool for at least 15 minutes on the tray before attempting to remove them to a wire rack – the liquid ‘glass’ centre needs time to harden and stick to the biscuit. Love this idea Jessie. I’ll have to remember it for next years christmas parties/teacher presents! I made turkish delight for Will’s teachers this year, low allergy, but very high in sugar!